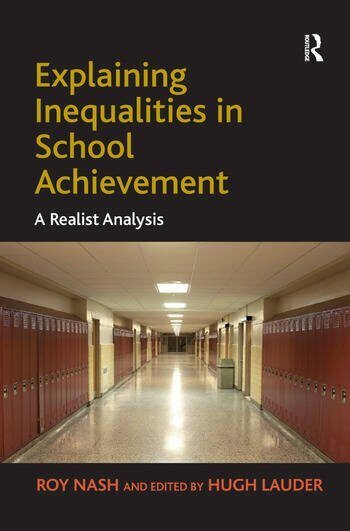 Inequalities in educational opportunity have been a persistent feature of all school systems for generations, with conventional explanations of differences in educational attainment tending to be reduced to either quantitative or non-quantitative 'list' theories. In this groundbreaking book, Roy Nash argues that a realist framework for the sociological explanation of educational group differences can, and must be, constructed. A move to such an explanatory framework will allow us to take into account the social influences of early childhood development, the later emergence of social identities, and the nature of the social class impact of educational and career decision-making. By building on the critical analyses of the theories of Bourdieu, Boudon and Bernstein, this book makes a vital contribution to the current policy and theoretical debate about the causes of educational inequality.